There are some very good reasons for packing efficiently for a trip. If you are traveling by, it can save you from excessive baggage fees. If you are traveling by car on a road trip, it can not only save space but if everyone packs lighter, it can actually save gas! Here are some tips to help you pack lighter, while making sure you don’t forget the essentials! Start by making a list of what you have to take along. Go day-by-day through your trip and decide what you will wear each day. Avoid taking items that you “may” need and stick to the list. Be sure to include important items like medicines, I.D., and reservation numbers. Pack small objects inside of any shoes you pack. Put the items in a plastic grocery bag first if you are concerned about being sanitary. Socks are perfect for packing inside of shoes because they will end up there anyway! Roll clothes as opposed to folding them. Rolling pants in particular can be a great space saver. You can even roll two pairs of pants by laying them in opposite directions and then rolling together. Buy sample sizes of your favorite shampoos, soaps, deodorants, toothpastes and other personal items to save space. Make sure you place any liquids in re-sealable plastic bags to prevent leakage. If you are traveling for more than a few days, plan on doing laundry on the road. This will allow you to pack less. Use items like underwear and t-shirts to cram into nooks and crannies in your luggage and between the other items you pack. People tend to fall in two camps. Either they pack at the last minute and tend to forget things, or they over-pack and take way too many clothes. Recognizing what type of person you are can also make you a more efficient packer. 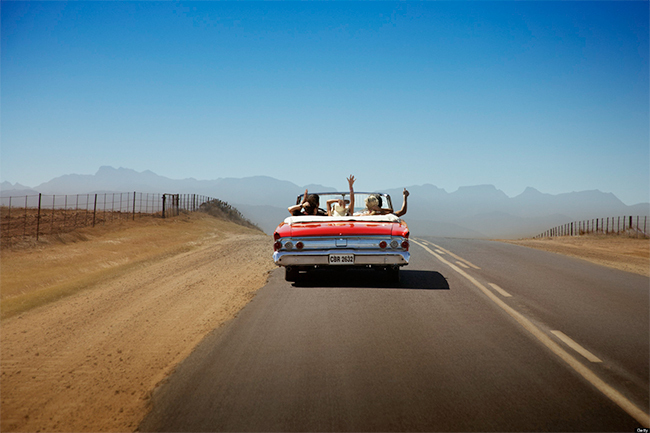 As we get closer to summertime and vacation and travel season, these tips may come in handy. If you are driving to your destination make sure you bring along your defensive driving skills. As you drive you will encounter people from all across the country. Believe it or not, they can all be very different types of drivers. By using defensive driving skills you can be prepared for them all.